Ft. Tilden is just west of the Gil Hodges Marine Park Bridge. 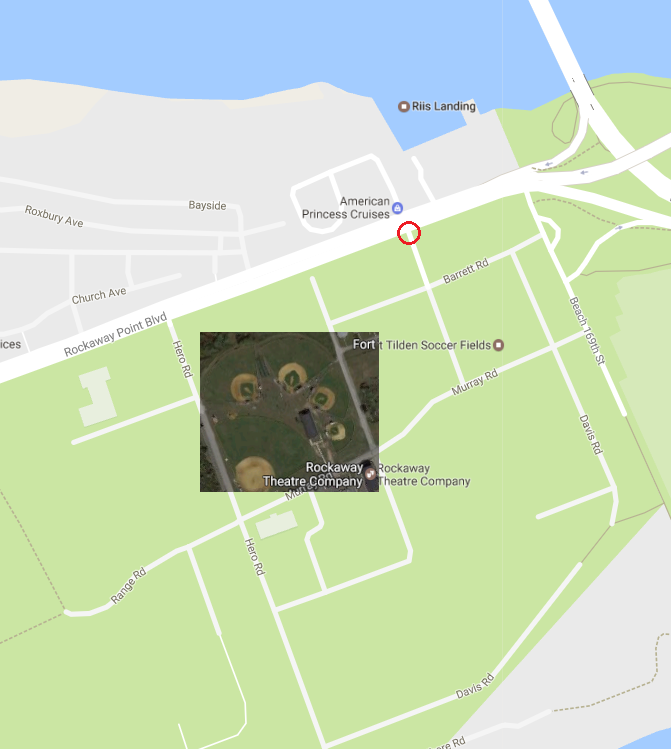 Enter Ft. Tilden at the traffic light across from Riis Ferry Landing or from Beach 169th Street near the firehouse. Free parking is available but a pass is required after June 15.